Did you know how to right click on a Mac computer, especially a MacBook, MacBook Pro or MacBook Air with the trackpad? There is no separate left or right button to discern. 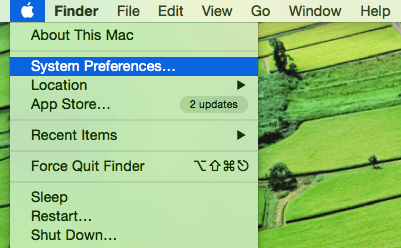 So, you might feel somewhat confused on how to right click on Mac! In Windows, it’s easy to do a right click by pressing the right button on your mouse, to bring up the contextual menu. But if you have recently switched from Windows to Mac OS X, especially a MacBook Pro or MacBook Air, you may not know how to do a right click on it. 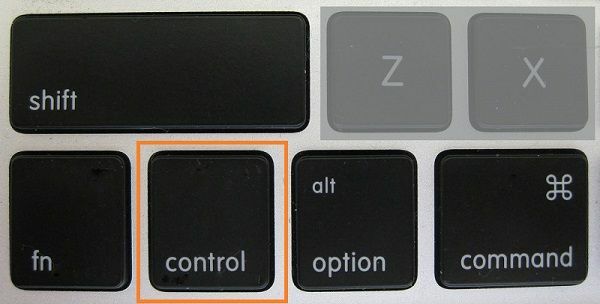 On Mac computers (MacBook, MacBook Pro, and MacBook Air), there is only a trackpad, no button to discern left click or right click. How to do to bring up the contextual menu? In fact, it’s quite simple to enable and do a right click on Mac computers. Follow my guide below to learn a few useful ways to right click on a Mac. Here are four simple methods that you can use to do a right click on your Mac computer. By using the Control key, two fingers on the trackpad, click on the left corner or right corner of the trackpad, use an external mouse or even the Apple Magic mouse — to bring up the contextual menu. Take a look below to learn how to do it. The first and also the classic way to do a right click with a Mac trackpad is to press & hold the Control key on your keyboard, and then click on the trackpad. Not fast enough, right? But it always works. You can use two fingers and then tap or click on the trackpad to enable the contextual menu. By default, this feature is enabled. But if it wasn’t, you will have to turn it on by yourself. To doing so, click on the Apple logo at the left corner of your screen, and then select “System Preferences“. In the next step, select Trackpad. From the Trackpad window, choose the “Point & Click” tab, tick on the “Secondary click” checkbox, and then choose “Click or tap with two fingers” from the drop-down list. After that, go anywhere that the contextual menu is available, touch to the Mac trackpad with two fingers or even press if you want. The contextual menu will appear after you do so. You can use the same method above (number #2), but configure it to record your action in different ways. Instead of using two fingers to right click on Mac computer, you can click in the bottom-right or bottom-left corner of the trackpad to enable the contextual menu. To configure it, do the same at the method #2, but select “Click in the bottom-right corner” or “Click in the bottom-left corner” from the drop-down list of the Secondary click box. 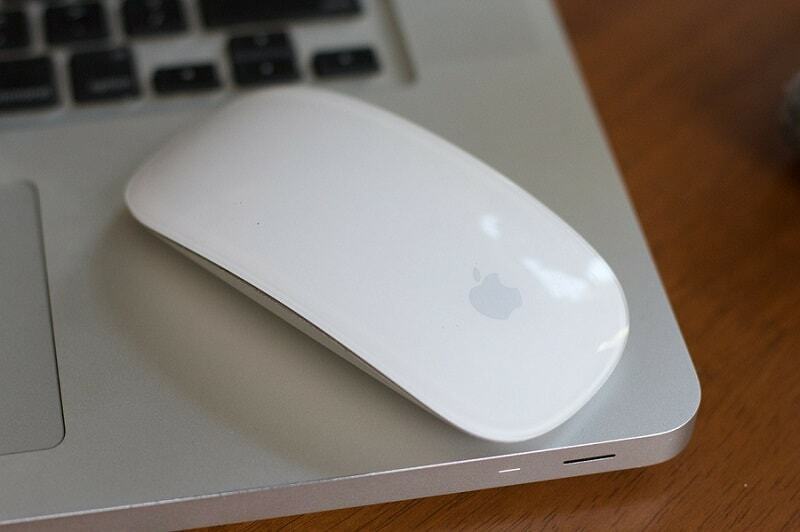 The last but simple way to do a right click on a Mac computer is to use an external mouse. Sometimes, it will work immediately, but if it doesn’t, go to System Preferences -> Mouse and then enable “Secondary click“. After that, you will be able to do left click or right click from your connected mouse like on a Windows PC. If you are using a Magic mouse, your OS X should recognize it, and all you need to do is enable the “Secondary click” checkbox, and then choose “Click on right side” or “Click on left side“, depends on your favorite. 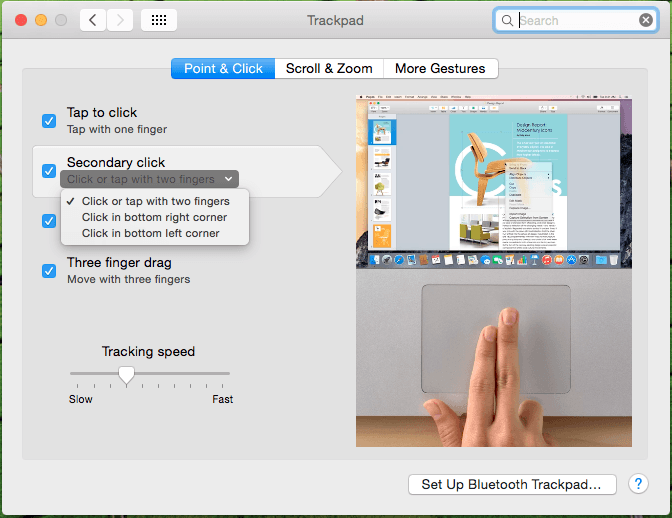 I hope this guide can help you to learn more about how to right click on a Mac trackpad to pull up the contextual menu. If you have any questions about this guide or need further assistance, let me know.